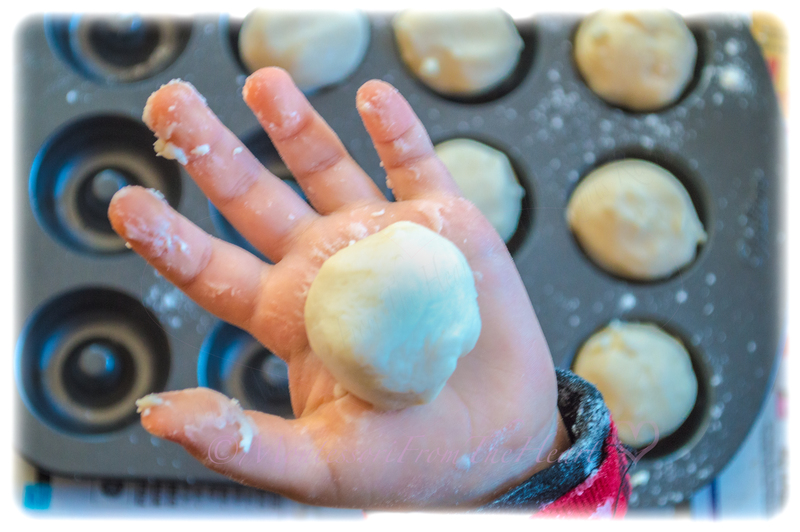 Finally, we made no-cook homemade play dough inspired by so many talented Mamas. I think my children enjoyed making it even more than playing with it! Please, note, since this natural play dough has no preservatives, it must be stored in an air-tight container in the refrigerator. Also, playdough will become crumbly with time (as it dries out even within a few hours while being left out), so just add few drops of vegetable oil to bring it back to "life"! optional: essential oils (we also added Lavender essential oil to add some olfactory dimension to our play dough (do omit it if you have smaller children who might otherwise put play dough in the mouth, since other than this ingredient, the playdough is safe if ingested). allow the dough to cool down and then knead it for few minutes until all of the stickiness has gone (add more flour if it is too sticky). The key is to keep kneading continuously until the dough does not feel sticky anymore! We first made 12 plain balls and then added a different color to each. See here our playdough in action in a post "No-Cook Homemade Play Dough 🎄Christmas Tree DIY Craft." For more on color mixing, see here a video-post "👔 Father's Day🎈Balloon Color-mixing DIY Craft (Sensorial 🖐️👀👂👅👃 Activities 101 🎥 Series 🎇)." And, see here a 🎥 video post "Paper Towel, Markers and 💦Water 🌈 Color Mixing ⚗️Experiment."